Making the decision to sell your car, trade it in, or simply buy a new one outright is an important one to make. Not only will it affect you in the present, but your choice will also have just as much of an impact on your future. Rather than get stuck in a situation you aren’t comfortable with after the fact, completing research ahead of time will help mitigate any potential negativity you may encounter in the future. Here at DePaula Chevrolet, we value local residents of the greater Albany, New York area, which is why we offer plenty of great options when it comes to transitioning away from your old car, and into a new one. Whether you want to sell your car for cash without purchasing a new one in return, or are looking to learn the trade in value of the current vehicle you want to replace, the team at DePaula Chevrolet wants to help. Your car may be a newer model, or it may have seen better days in the past few decades. Regardless of which end of this spectrum you fall, the first step to selling your car is finding out what it is worth. There are more than a few avenues to take in order to uncover this pertinent information, but the big question is – which one is right for you? Too many people assume that CarMax is their only option for selling their car, but the truth is, it is just one of many options available. Thanks to dealerships like DePaula Chevrolet, sellers have more viable choices than ever before. 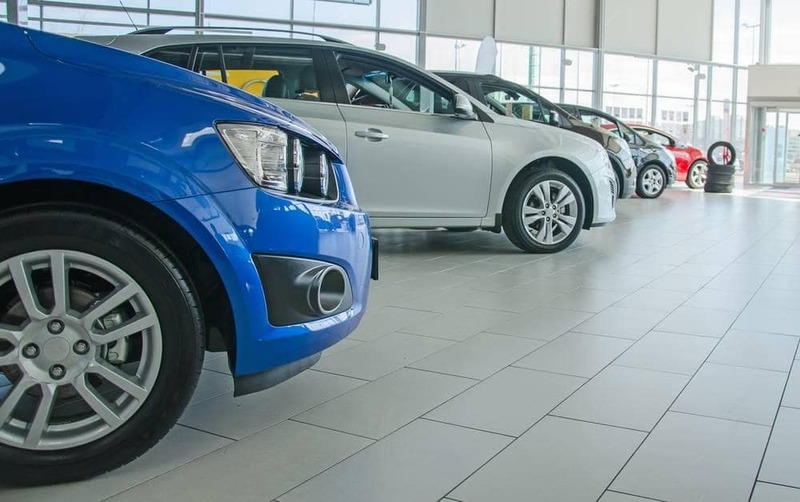 Taking it to CarMax: Big box stores like CarMax are known for buying cars for cash, and they have a system in place to do so as expeditiously as possible. Sometimes this means not giving their sellers a fair shake, and oftentimes it means a lowball offer that sellers feel pressured to accept. For some people, selling their car to a place like CarMax may be their only option. Luckily, for residents in the Albany area, DePaula Chevrolet offers a better solution. Taking it to DePaula Chevrolet: Here at DePaula Chevrolet, we are proud to offer what we believe is the most comprehensive car buying program in the country. Aside from offering our customers a fair price for trading their vehicles in for a new one, we also offer cash on the spot for purchasing pre-owned cars, trucks, and SUVs. As a family owned and operated dealership, DePaula Chevrolet is after more than a bottom line. We strive to offer continuous and consistent service to people who want to buy, sell, or trade in their cars. When you are ready, DePaula Chevrolet is here to help. There are infinite reasons why selling your car to DePaula Chevrolet is the better option over a place like CarMax. Take a look at a few of them, and get a better understanding of why more people are saying adios to CarMax, and hello to DePaula Chevrolet. To put it very simply, the experts at DePaula Chevrolet will offer more for your car, and deliver a more exceptional customer service experience. While that may sound great, what does it actually mean? As it turns out, it means quite a lot, especially when directly compared with a place like CarMax. While big box retailers are focused on expanding, small town dealerships like DePaula Chevrolet are focused on the success of a single location. It allows us to deliver a better experience that area residents are drawn to. Discover why drivers are pulling out of the CarMax parking lot, and adjusting their navigation to deliver them straight to the doorstep of DePaula Chevrolet. More Money: Who doesn’t like more money, right? DePaula Chevrolet is so committed to our customers that we guarantee to beat any written CarMax offer by at least $500. Not only does that say a lot about our dedication to the Albany community, it also speaks volumes to the lowball offers that big box retailers are routinely handing out to unsuspecting sellers. If you want more money for your car, skip CarMax and head into DePaula Chevrolet. More Time: When you bring your vehicle into CarMax for a cash offer, the clock begins ticking the moment you take hold of that slip of paper. Seven days is all you have to decide whether to accept their offer, or refuse it. DePaula Chevrolet will give you ten total days to think over an offer, allowing you to make a more sound decision you are unlikely to regret. More Options: Whether you want to learn how much your car is worth in cash, as a trade in, or want to buy a new car without parting with your current vehicle, DePaula Chevrolet offers more options. With an easy to use online tool through KBB.com, DePaula Chevrolet customers can get a realistic estimate for their vehicles without having to leave their homes. CarMax does not offer an online estimation tool, which means their customers have to trek down in person, before even knowing what their vehicle might be worth. Cut out this unnecessary step, and opt for DePaula Chevrolet instead. More Customized: When you bring your vehicle into the expert team at DePaula Chevrolet for an estimate on a cash offer or trade in value, you won’t find the staff or environment impersonal or cold. Our team is not only interested in your car, but in you. We work alongside you in order to better understand your needs, desires, and wants. Our team doesn’t operate via a pre-written script that will leave you feeling like a number, rather than the person you are. Instead, we take the time to get to know you, and deliver a more customized total experience. Fast and Easy: Let’s be honest – who actually has time to spend hours at a dealership, waiting around for a check? And even if you are able to find the time, why would you want to spend it that way? The fact is, most people dread dealership interactions, whether buying or selling a vehicle. At DePaula Chevrolet, our car buying process is fast and easy. With our online tool, sellers can start the process prior to coming in, expediting the transaction altogether. Time is precious, and here at DePaula Chevrolet, we understand and respect that. Within twenty minutes, you could be walking away with cash in hand, and a satisfied smile on your face. What could be better than that? The DePaula name has been one that residents of the Albany, New York area have trusted for decades. Family owned and operated, DePaula Chevrolet is proud to carry on the tradition of excellence that our customers have come to expect. Bring your current vehicle down to DePaula Chevrolet, and find out how simple and easy it is to sell it for cash on the spot. If you would rather trade it in for a newer model, we can help with that as well. Whatever it is you are looking for, DePaula Chevrolet is honored to help you find it. Don’t wait around wondering what could be, or waste countless hours at a dealership that will only leave you disappointed. Come down to DePaula Chevrolet and begin your car selling journey today.